Dr. Shubhankari P Rao is an experienced Ayurveda in Basavanagudi, Bangalore. He has over 38 years of experience as a Ayurveda. He has completed Fellowship of Royal Asiantic Society, BAMS, BSAM. 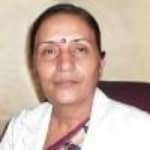 You can consult Dr. Shubhankari P Rao at Shubha Ayurvedic Clinic in Basavanagudi, Bangalore. You can book an instant appointment online with Dr. Shubhankari P Rao on Lybrate.com. Lybrate.com has a number of highly qualified Ayurvedas in India. You will find Ayurvedas with more than 33 years of experience on Lybrate.com. You can find Ayurvedas online in Bangalore and from across India. View the profile of medical specialists and their reviews from other patients to make an informed decision. I am taking embeta xr 75 mg in a day.in my holter monitoring svt has found for 2 times with 143max beat. What Shud I do. Is it dangerous or harmful. I am having bicuspid artic valve also. SVT is abnormal sudden rise in heart beat which sometimes can give rise to problem s. It is due to an abnormal passage of electricity in the heart tissue. If it is recurrent then there are further treatment options need to undergo electropbysiological testing and there is laser treatment. All the best. Is it possible for a girl to increase their height after reaching 18 years? is there any treatment or medicine for that? In view of age you may take chance to gain height as you are less than 21 years, this includes exercise, yogasana, and herbal preparations. A chance taking treatment for 8-9 months, regular single and double bar exercise, practice of tadasana, sarvangasana in morning may help. She have got lumps in her breast. They have become tight and its painful. I have consulted to a doc and he has given medicine. I want to know is there any oil for breast massage to relive pain and for reducing lump. Age 19. Show to surgeon. She will probably need fnac test of the lumps. Depending on the size of lump and fnac report, treatment is to be decided whether to go for surgery or medical treatment. I need to lose at least 6 kgs as soon as possible. What's the best way to go around it? You have to exercise and eat healthy to shed weight. Start by cutting out refined carbohydrates, baked items, sugar and oily foods from your diet completely. Go for more fruits, vegetables and protein in your meals. Snack on seeds, nuts,fresh fruits, sprouts etc. Start out with a 30-minute walk daily. Once you start yourself on this lifestyle change you will suddenly notice weight shedding off. If you need me to help you out with customized online diet charts with foods of your choice and constant support while losing weight, please contact us directly through Lybrate Private Consult. I am suffering from hair desiess so that my hair is losing and also skin problem in morning my face gets dull n roughf. Follow these best methods for treatment of hair fall • Add protein containing items in your foods for healthy hair growth such as take a bowl of cereal daily and a glass of milk or 100 gm cheese or 1-2 eggs.. • Stress is one of the main cause of hair fall. To reduce hairfall, Practice Yogasana like SHIRSHASANA and SARWANGASANA only under the guidance of Expert. • you can use MAHABHRINGRAJ TEL of BAIDYANATH COMPANY and apply it 3 times in a week massage your scalp for 10 to 15 minutes daily. It increases blood circulation in your scalp and enhances hair growth. • Avoid the excess use of products such as hair colours or shampoo as they cause destruction of hair follicles. * Take Vitamin-E rich foods like dry fruits (Almonds, Pista etc) daily. * Apply the egg yolk to the scalp atleast once a week. It gives nourishment to hair root and enhances hair growth. I have hair problem. It's trying white. I'm soo worried about it. What should I do? 1. Use amla (gooseberry) juice on scalp and also to drink. 2. Mix curry leaves with coconut oil and heat up and let it cool. Wheat Germ oil to massage your head at night. You can also put some fenugreek powder in the oil, heat the oil a bit and apply it on scalp for hairfall, whitening and dandruff. 3. Apply hair packs like Egg with Yogurt, Banana. 4. Have lots of green leafy vegetables and fruits rich in Vitamin C. 5. Protein is the most important element for maintaining hair health. Make sure your diet in protein rich sources like eggs, fish, chicken, soyabean, sprouts, pulses and grains 6. Zinc, iron & copper promote healthy hair. Some sources of this are – eggs, whole grains, all types of seeds like flaxseed, sesame seeds, sunflower seeds, Dry fruits and nuts etc. I want to have straight hair without any curls naturally by using home remedies and also want to grow hair long, pls suggest me what should I do for it. Get straight hair naturally by following these remedies - 1. Use mild shampoo to wash hair (you can make your own shampoo using reetha and shikakai at home) 2. Stop using conditioners. Use natural conditioners like egg, yougurt and lemon. 3. Massage your scalp with a mix of oils like olive, coconut, sesame, castor oil at night. 4. Apply raw amla juice on hair thrice a week. 5. Rub your scalp with the juice of white onion. 6. Use a paste of bhringraj on hair. 7. You can use some good hair packs like - fenugreek and yogurt, egg and green tea. 8. You can rinse your hair with organic apple cider vinegar after washing your hair to maintain ph balance of your hair. 9. Hair health depends on the amount of protein in your diet. Foods like chicken, eggs, fish, nuts, dry fruits gives you the required nutrients to keep your skin and hair healthy. So consume plenty of them. Eat things rich in vitamin c like amla and oranges. 10. Drink lots of water to flush out toxins from the body. I am 45 years women I have wrinkles on my face especially on forehead eyes amd nose could you please suggest some medicine to treat it. Thanks. You will need an antiageing cream containing retinol. Use that cream at night. Use sunscreen in morning. Continue the cream for 4-6 months to see difference. I hv pimples on my face, I too hav oily skin. I m 20 years old girl. Pls tell me what should I do to get rid of pimples? Apple is a miracle fruit for the skin.The alpha hydroxy acids or AHA’s present in apples improves skin color and elasticity of the skin.Soak peeled apple slices in milk for 20 minutes and then blend to form a creamy paste.Place in the freezer for 10 minutes, and then mix a tsp of lemon juice, apply all over your face and neck.Rinse off after 15 minutes with cool water and massage an ice cube.The skin looks baby soft, smooth with a rosy white glow.Follow this for a week to get fair skin naturally. I have thin visible hairs on my upper cheeks even close to eyes. Should I shave or trim the hairs and if I shave them will they come hard and thick again? Does the shaved area will become rough due to regular shaving? What are the other possible ways to get rid of upper cheek hairs having no side effects to the skin? Mix chickpeas flour (besan), green gram flour, turmeric powder, rose water, and milk to form a paste. Then scrub your face with this paste for at least two minutes. Use this scrub consistently to get rid of your facial hair, naturally.